SEXTON / GLOVER / WATTS is the trading arm of SextonGlover Pty Ltd, a well established family owned real estate business. SEXTON / GLOVER / WATTS provides the full range of real estate services including Residential Sales, Land Sales, Property Management, Rural Sales, Rentals, Buyers Agents, Discreet Sales, Subdivision Sales, Lifestyle Properties. 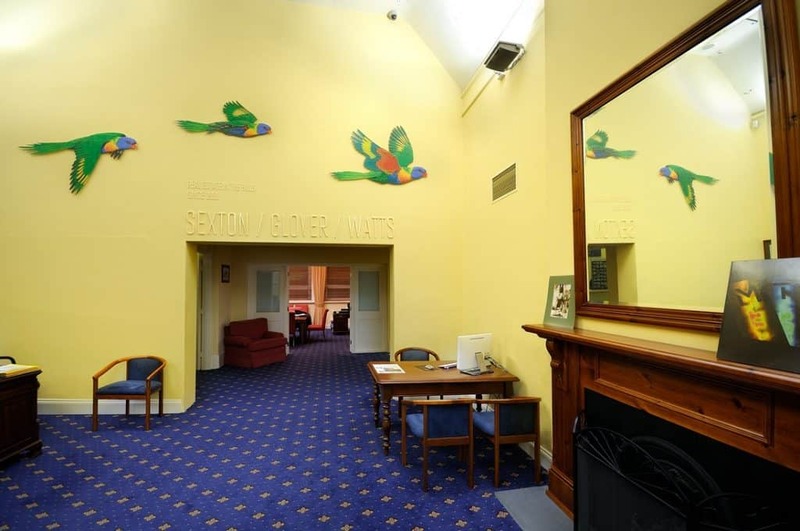 Head Office is located in the old school building, in Mount Barker in the Adelaide Hills. Our office is approximately 25 minutes from Adelaide, the capital of South Australia. Our real estate company has been in business for over 25 years and has been constantly evolving to meet our clients needs. Trading as SEXTON / GLOVER / WATTS it is the results we get for our clients and customers that motivates us to give the high level of service we’re known for. Stunningly restored and modernized ‘The Old Schoolhouse’ is a much admired and visited building in a prominent location at the entrance to Mount Barker. A fully functioning modern workplace, the technology used for the constant communications & data handling sits in contrast to the old chalkboards and the ink cupboard that have been left intact in the building. Former students frequently visit and reminisce about their days at school. When considering an agency to assist you, it is important to use experienced, real estate professionals with a track record of getting things done properly. We are a well establish family owned business that has been operating in the Adelaide Hills for over 25 years. Our office is in Mount Barker, we live and work locally. Our sales and property management teams take pride in their work and want to achieve the best they can. From the moment he started selling real estate, James Sexton has generated phenomenal sales results and happy outcomes for clients. The real estate company, SextonGlover, established by James and his wife Julie, was an instant market leader and set new standards of real estate results for the Adelaide Hills. Joined later by John Sexton, and more recently Nathan Watts, the company has continued to offer professional services and generate great outcomes for clients. This local, family owned business now trades as SEXTON / GLOVER / WATTS.